Welcome to the ASCE Wisconsin Section Fox River Valley Branch website. The intention of this website is to provide a resource to our members and guests. Information regarding the current leadership, past and upcoming Fox River Valley Branch events and important links to ASCE National are included. Check out the Events calendar for information on an upcoming monthly meetings/tours and a summary of past meetings/tours. This is a great way to find out what the FRV Branch has been doing. Check out the Resources Tab for a variety of information regarding ASCE, outreach programs, and job postings for various companies in Northeast Wisconsin. Check out the Newsletter Tab for your latest news on the ASCE FRV. ASCE FRV loves to help out with outreach projects in your community or school. Please let us know of an event or project you are doing in your community and we can help you out with it. 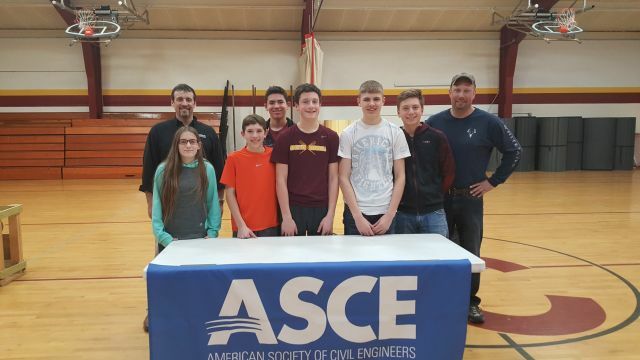 This past February ASCE FRV sponsored the Luxemburg Casco Middle School Tower Challenge. 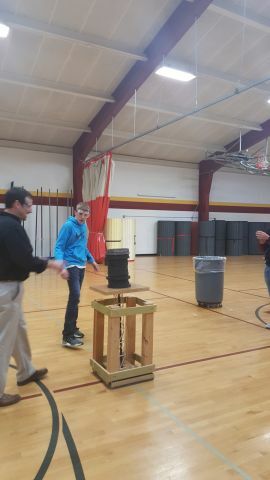 This event was for 8th graders to build a tower out of balsa wood and then see how much weight the tower can hold. Below are some photos from the event.